Lance Armstrong Admits Doping, Oprah Winfrey Confirms : The Two-Way In an interview with Oprah Winfrey, the cycling superstar confessed to cheating throughout his career, she tells CBS News. Their conversation will air on the Oprah Winfrey Network over two nights, starting Thursday at 9 p.m. ET. On CBS This Morning moments ago, Oprah Winfrey confirmed that Lance Armstrong admitted to her in an interview recorded Monday that he did use performance-enhancing drugs during a cycling career that included seven Tour de France victories (titles he has since been stripped of). The confession follows years of denials by the cycling superstar, who anti-doping authorities say was at the center of a vast and sophisticated network that supplied him with the drugs. The 2 1/2 hour interview will now air on the Oprah Winfrey Network over two nights, Oprah told CBS, starting at 9 p.m. ET Thursday and continuing on Friday. It will also be streamed on Oprah.com. -- "A person familiar with the situation says Lance Armstrong confessed to Oprah Winfrey during an interview Monday that he used performance-enhancing drugs to win the Tour de France," says CBS News. "The admission — made in an interview to be broadcast Thursday on Winfrey's network — was first revealed by the Associated Press and later confirmed by CBS News. Winfrey will appear on CBS This Morning on Tuesday to talk about the Armstrong interview." -- "Armstrong confessed to doping during an interview with Oprah Winfrey taped Monday, just a couple of hours after an emotional apology to the staff at the Livestrong charity he founded and was later forced to surrender, a person familiar with the situation told The Associated Press. The person spoke on condition of anonymity because the interview is to be broadcast Thursday on Winfrey's network." -- "Lance Armstrong ... admitted to Oprah Winfrey that he used performance enhancing drugs to win the Tour de France, sources told ABC News. A government source tells ABC News that Armstrong is now talking with authorities about paying back some of the U.S. Postal Service money from sponsoring his team. He is also talking to authorities about confessing and naming names, giving up others involved in illegal doping." "That interview with Oprah, which is being taped at Armstrong's Austin home today, is due to air on her cable network Thursday at 9 p.m. ET and will be webcast on Oprah.com. We expect there will be many leaks about what he says before it's broadcast. "Up to now, Armstrong has always denied he cheated during his cycling career. Last August, though, he said he would stop fighting such allegations. He's been stripped of his seven Tour de France victories. "But in the past two weeks, both The New York Times and USA Today have reported that Armstrong has discussed publicly adding that he cheated during career. And then he agreed to the interview with Oprah — who can provide a high-profile platform for a public admission." 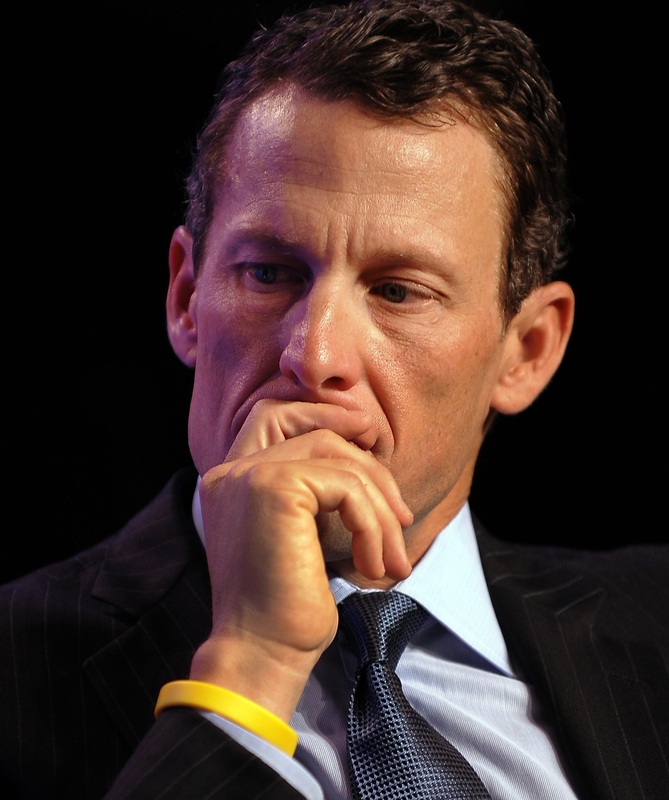 -- "Behind Lance Armstrong's Decision To Talk." -- "Justice Department Poised To Join Whistleblower Suit."